Synopsis: This mini-love-lesson starts with a discussion of before, during and after love problem hurt; tells how love problem hurt works; what all the hurt is for; what to do about the hurt; and how not to misinterpret hurt’s very important guidance messages. Breakups, divorce, rejection, betrayal, abandonment, indifference, repulsion, omission, demeaning, repudiation, intolerance, banishment, disavowal, dis-affirmation, spurning, loathing, and a host of lesser, negative treatments coming from someone you hope loves you can all really badly hurt. In fact they can hurt so badly and for so long that the hurt can sometimes drive people into a deep depression and then to suicide just to escape the pain. But why? Before whatever it was that brought on the pain, we were probably doing okay, maybe even good. Unless there was physical abuse, we are not bleeding or even bruised. We are still the same person who is just as physically okay as we were before the breakup or whatever it was – aren’t we? Why should this hurt so much? Why can’t we just shake it off and go on as we were before? The truth is, we are not the same physically. After we have experienced an intense love problem related hurt, parts of our brain become micro-damaged messing up our brain chemistry and our neural-electric functioning. This can happen whenever we have love relationship problems. Love loss problems can cause serious neurological dysfunction which we feel as emotional pain. This in turn negatively affects our thinking and then our behavior. Any problem involving love disconnection or reduction of nurturing and nourishing love experiences can set off several kinds of brain malfunctions. Whatever affects our emotions is affecting our brain, our thinking and how we subsequently behave. This means our brains are physically not operating the same as they did before the hurt. For many people the hurt caused by these love/brain problems are much greater than any physical pain they have ever experienced. The good news is as we heal emotionally we also heal physically. The return of love coming our way from the person or people related to the problem can do worlds of good in the healing process. New love pouring in from old or new sources, and healthy self-love also can do wonders. ‘Time’ by itself doesn’t really heal much. It is very slow but time in which you do healthy self-love can be very curative. Spiritual love involvement also can be outstandingly helpful. Interestingly, pouring your own love into others who need love or help of some kind, such as a worthy cause, a creative endeavor, important productive projects or a major new love interest also works to be very therapeutic for healing from love problems of all sorts. When we experience love problems, especially those that affect or threaten our important psychosexual connections (i.e. love relationships) our neural circuits misfire the same way they do when they are processing physical pain. 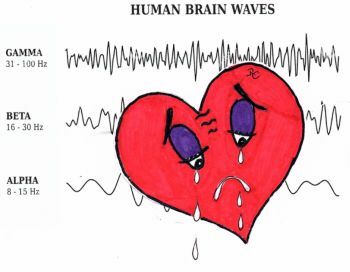 The parts of the brain called the Insula and the Anterior Cingulate Cortex, along with the Somatosensory Cortex, try to process the love-related pain just as they do with physically caused pain. For love problem pain, though, there is evidence that it is sometimes harder and takes longer for these parts of our brain to do this processing. We sense this processing problem as increased emotional pain. This frequently is called “heartbreak”. Strong hurt emotions connected to a love problem result in us having a “ broken heart”. There is evidence that actual physical heart damage may be possible in some people when this happens. This actually may occur in everyone to some small degree at least. Then if the love problem and it’s hurt continues, our biological body starts to have other malfunctions which can result in the cascade effect of crashing our immune mechanisms and bringing on stress induced illnesses, including strokes and, yes, even heart attacks. Our Cerebral Cortex can get affected and then we don’t think as efficiently or effectively. Before long our metabolism may malfunction and our energy reserves may become severely drained. That is only some of what can go wrong when there is too much love problem hurt for too long. Since the Neural Pain Matrix of our brain handles both physical and psychological pain in pretty much in the same way, both psychological and physical health problems can develop. Therefore, both physical and mental health issues need to be addressed, along with love relationship problems themselves whenever there is severe or long lasting love relationship pain. What Is All The Hurt For ? Basically, our hurt is a natural system attempting to protect us from harm. Our pain gives us guidance messages, telling us to change something so that we can avoid being harmed. The trouble is our pain system can overdo it, as well as under do it, and mis-do it. It is just like all our other natural systems in that respect. Our love problem hurt may be interpreted as telling us go make up, patch up and reunite with whoever is involved in the love problem. Then again it can be, in the case of severe and repeated pain, telling us to escape whoever is involved in the love problem. Love problem hurt can also be interpreted as telling us to change the way we go about a love relationship. We can learn to do love in some new way that is much better and much more healthful. Another interpretation is to go search for someone with whom we can develop a better love relationship. Another worthy interpretation for many people has to do with reconnecting with other love sources like friends and family members we have been out of touch with. A frequent, more broadly useful interpretation may be to learn to love ourselves a lot better, and not get into another false love, high agony relationship again; and instead learn to identify and search for healthy, real love. All those can be a part of the healthful messages coming from our love problem miseries. The trick is to learn to listen to what the guidance message is, and then do something in accordance with the guidance. 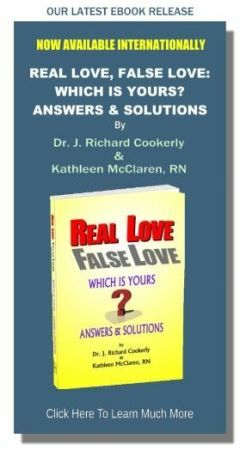 There are other mini-love-lessons at this site which focus on understanding love problem pain (“Dealing with Love Hurt: Diagnosing Love Hurt Accurately”, “Dealing with Love Hurts: Pain’s Crucial Guidance”). Love problem pain can drive us into withdrawal and isolation which if handled well is like going into our cave after being wounded. This allows us time to heal and get it all figured out as we do some healthy self-love. The issue here is not to stay too long in that isolation. Love can also drive us toward reconnection or to new connections where fresh, healthy love can heal and nurture us. We are a gregarious species and do best when we are love-connected with loving others. More and more recent research shows us we humans are built to live in love-connection with one another. Often it is the pain of love loneliness that gets us to go back to attempting love connection repeatedly. Not many of us, if any, can do well living like loveless hermits. Some clinicians and theoreticians think that love problem pain may get more intense or last longer as a way to get your attention if we are ignoring, dodging or denying it. It also can be a guidance message saying that you are not getting the full message it is trying to send you. It may keep coming to you, in essence, telling you that you have more to learn from this pain and it won’t let you alone until you have learned what you need to learn. The unconscious or subconscious can be pretty clever in the ways it tries to help you. It is interesting that for many people I have counseled, as soon as they get an interpretation of what their love hurt is trying to tell them, that feels right to them, their pain begins to alleviate. Then, of course, they have to act in accord with the message or the pain returns. However, when they act on the message that pain seems to be trying to give them, they tend to improve more rapidly and more completely. I must admit that this works very well for me too! I like to suggest that the first thing to do, when you are hurting a lot from some kind of love problem, might be to give yourself a hug and tell your inner-self that you are going to figure out what to do– that you are going to do it. Then you have to go in search of what your inner love problem pain, guidance message is. People use lots of different techniques to accomplish that searching. Sentence completion exercises, meditation, self hypnosis, impulse writing, journaling, prayer and of course just talking it over with a good listener-friend often works quite well. Good counselors and therapists usually have several different, potent techniques to help you look inside yourself and find out your own inner answers. Remember that once you get the love problem hurt’s message you probably have to follow its guidance and act on it. If you can’t seem to get just one message, gamble on one and go with it. I like to suggest you start doing a lot of healthy, self-love behaviors as you begin this process. Love problems related pain are often destructively interpreted as telling us we just have not found the right person. That may have some truth in it but don’t stop with that. Also likely is the interpretation that says we have to learn more about love, and we have to improve ourselves and improve the way we are going about love relating – maybe a lot. Another fairly common misinterpretation is to give up on love entirely, or at least give up on human love and live without it. Many who try that become so love hungry they jump at the first relationship chance that comes along and, therefore, having not learned anything new, they make the same mistakes they made before. Those that do live without love of some type or another often suffer some serious malfunction eventually. Some actually do quite well with multiple love relationships which can include several lovers and, of course, friends, family, pets, causes and a higher power love relationship. Escaping the love problem pain by getting into various forms of life-ruining addictions, relapsing, etc. is also a very poor understanding of the natural, healthy message love problem hurt is trying to tell us. Guidance messages that tell you to hold it all inside, act like you are fine, just be tough, etc. are not healthy and do not allow for healthful catharsis (i.e. crying it out, non-harmfully acting it out, blowing off steam, getting it off your chest, etc.). Love problem pain’s worst misinterpretation is to kill yourself or your lover or somebody else. If you hear a message in your head like “just die and you won’t hurt anymore” or “I can’t live without him or her” that is a child level or child-self interpretation which needs adult level reinterpretation. The usual adult-self interpretation is something like this: “kill off the way you are going about a relationship” or “going about a part of life, and give birth to a new way”. Any interpretation which is unhealthy for anyone is probably an unhealthy interpretation for you too. Therefore, interpretations guiding you toward revenge, destructiveness, harm to self or others, retribution, ‘getting even’, attacking somebody or something, etc. are best regarded as not coming from your drives for health and well-being, or from the best in you and for you. More likely, they may be coming from a self-sabotaging something in your subconscious. Remember, healthy, real love is constructive, not destructive. That is true of healthy, real self-love as well as love for others. If you have unresolved pain stemming from a love relationship problem, are you going to actually work with the ideas presented above to see if you can get to a better place?